Baines River Camp is named after the famous African explorer Thomas Baines. This camp offers excellent fishing in a luxuriously remote setting. Baines River Camp lies within the Chiawa Game Management Area of the Lower Zambezi River bordering the National Park. This luxury camp is small, offering only 8 suites to the discerning guest who is looking for creature comforts, good service and excellent fishing. 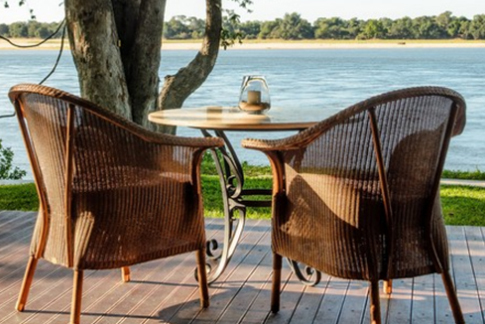 A non-fishing partner would be very happy at Baines River camp with exceptional wildlife opportunities as well as a spa to enjoy. There are eight Explorer Suites with either king or twin beds completed with cotton percale linen, pure down pillows and duvets. 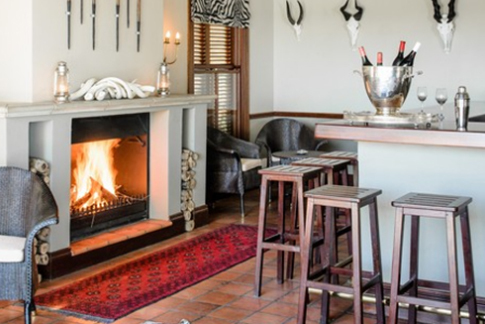 The rooms are decorated in sumptuous colonial style incoporating classical fabrics, kelims, wood and leather The suites have en suite bathroom facilities with walk in showers and a spacious dressing area. Two of the suites also have an outdoor shower.